Kia Optima Hybrid - AutoNetTV Media, Inc.
Kia enters the hybrid market with a 2011 Optima model. 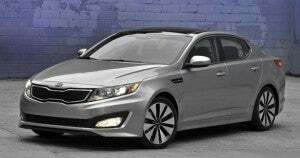 Kia is using lithium-ion batteries for extended range. Here’s 10 often overlooked maintenance services. Do you need anything on the list?